You’re now a member of the coziest, kindest cult in existence..
A few of these patterns might seem hard. In some ways, they are; handling four needles at once or remembering when to increase is challenging for anyone, not just beginners. But I promise, once you’re in the thick of them it’ll feel much more doable, and you’ll be extra proud of yourself when you finally reach the last row. And just because something might not turn out to look like the perfect, well-lit picture doesn’t mean it’s not worthwhile. 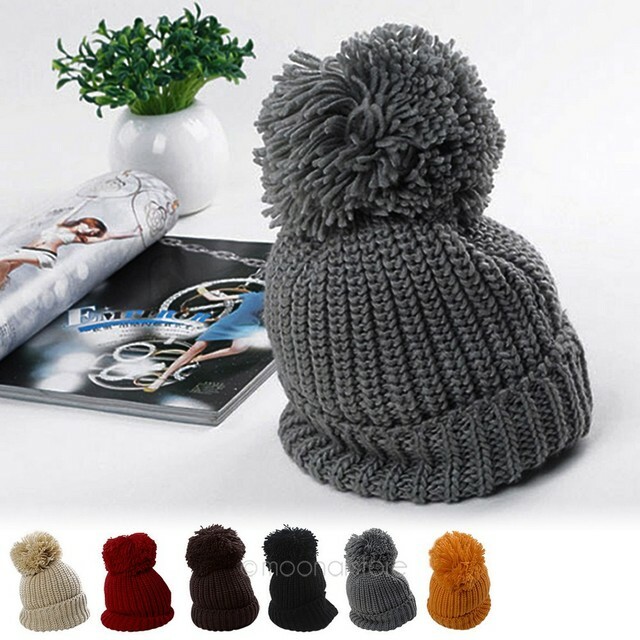 I personally think everyone’s first (okay, maybe second) knitting project should be a hat, not a scarf — scarves take forever, they’re repetitive, and odds are you don’t even really want or need one. But hats, on the other hand, are small. 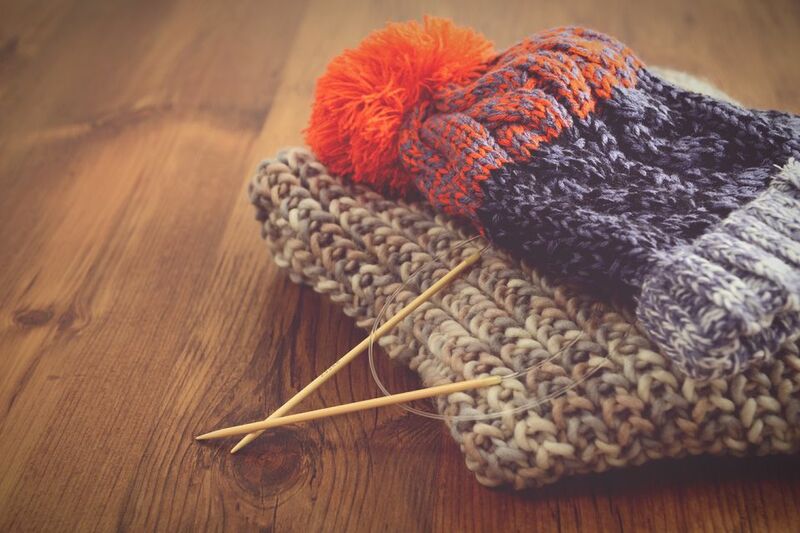 They always come in handy, and by the time you’ve successfully completed one, you’ve learned most of the basic skills you’ll need as a knitter — decreasing, purling, seaming, and knitting in the round and on double-pointed needles. I know! But you’ll be great! 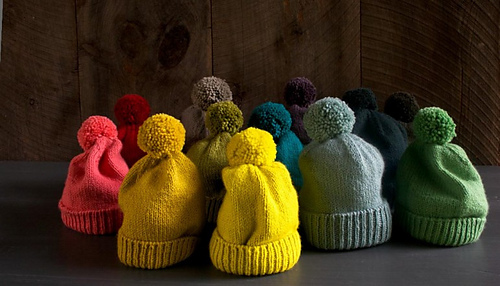 Super-chunky yarn is soft, toasty instant gratification made tangible. 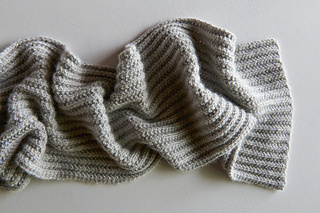 This cowl knits up in a matter of hours and then you have a lifetime of snuggles before you. Best of all, the pattern is free, although designer Jane Richmond has a bunch of other easy and cute ones for sale on her site. I especially love this slouchy hat, which has the look of cables without actually asking you to make any. 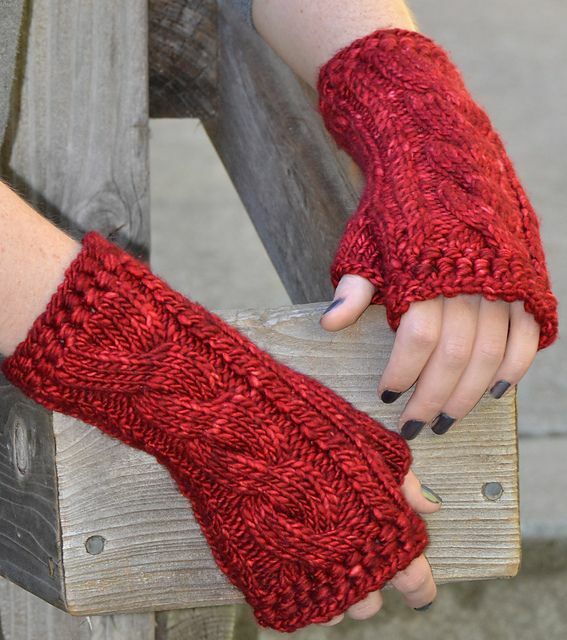 I’ve knitted this pattern so many times I’ve lost track — the mittens make fantastic last-minute gifts if you’re an experienced knitter, and they’re a fairly painless way to try cabling if you’re new. Cables look super terrifying / impressive but I promise, they’re actually a breeze to do. Find the pattern here, and don’t blame me if you spend the rest of your day browsing Knitty, the magical (and free!) online knitting magazine whence they came. Shawls can be huge and lacy and old-fashioned, but they don’t need to be. This pattern requires no knowledge beyond increasing and can be made to any size you want — I tend to make them kerchief-ish for when I get tired of dealing with scarves and cowls. If you ~insist~ on knitting a scarf, this is an excellent one. (Jk, scarves are marvelous, the world needs lots of them, knit free or die.) Mistake rib is one of my favorite stitches — it’s textured, sturdy, and enough to keep you interested without actually veering into difficult territory. And if you start to get scarf fatigue, you can stop at any time and seam the ends together to turn it into a cowl / infinity scarf. OKAY SORRY THIS IS THE LAST PURL BEE PATTERN I WILL INCLUDE HERE. But look at it! It’s so pretty and so simple and would look great atop the beds of very old and very new humans alike. I love the contrast of the bright colors with the neutral background but feel free to mix and match according to your preferences / yarn on hand. 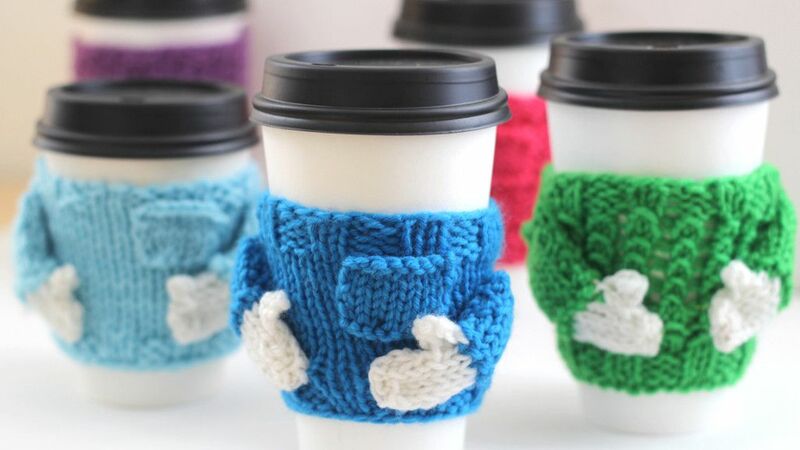 If the thought of knitting a sweater for a person is too much, make one for a beverage instead. You can use them to keep your drinks warm and your homemade vases extra-twee, or to add a personal touch to a gift for someone else. Okay, so you have to buy this patten (it’s about $7 USD) and a sweater probably seems really daunting, let alone one embellished with shocked-looking woodland creatures. BUT this is truly one of the most delightful and intuitive patterns you can knit, and it’s surprisingly easy; because the yarn it calls for is thick, it won’t take you years to finish, and it’s constructed from the bottom up without seams so you don’t have to do much sewing at the end. 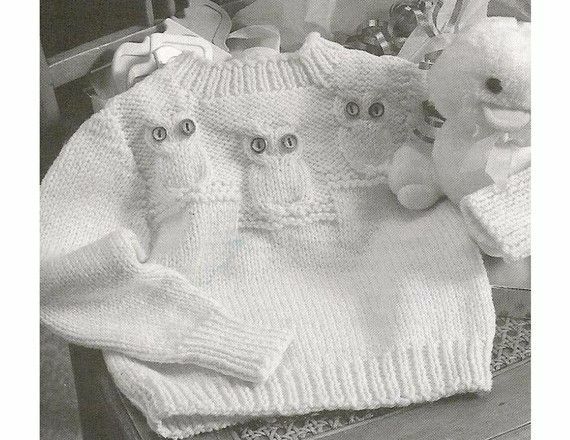 And the owls themselves are just cables going in different directions, so if you can handle the fingerless mittens above, you can absolutely tackle this. 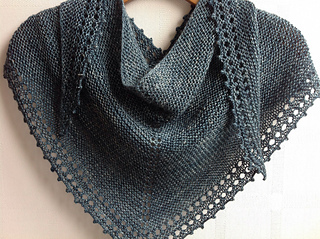 It’s the perfect challenge for someone who wants to move beyond accessory-sized projects, and I guarantee once you knit one, you’ll want to make three more. If you want the sense of accomplishment that comes from making a sweater without all the time and expense, might I recommend BABY SWEATERS? This is the first baby garment I ever knitted, and it was so, so gratifying. 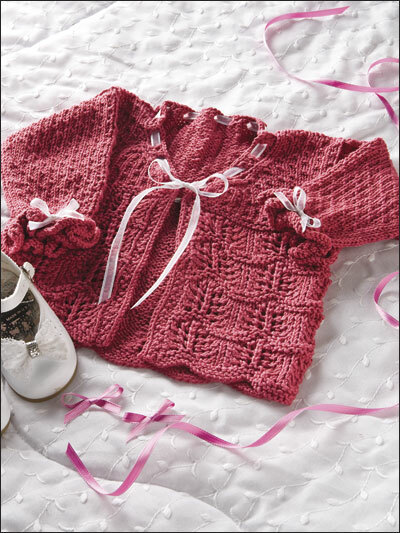 The catch is that this particular pattern, called “Baby Sweater On Two Needles,” isn’t available online. It’s from a book, The Knitter’s Almanac, which anyone who is even remotely interested in crafting should own. It makes knitting feel less scary, less unknowable, and far more philosophical, and explains everything in plain English. Before you know it you’ll be modifying patterns to fit your own body and life, and making up ones of your very own. 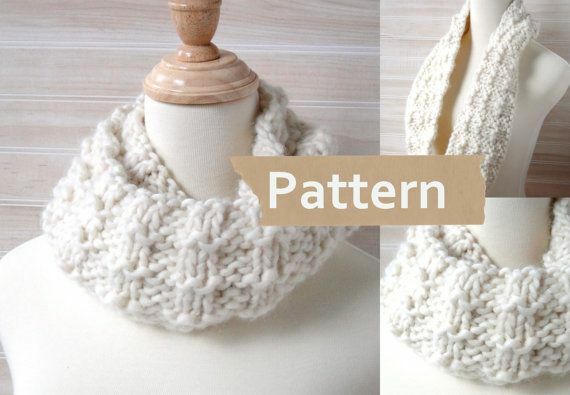 If you tried your hand at one of these patterns, or just want to show off a piece of knitting you’re proud of, drop a picture in the comments!